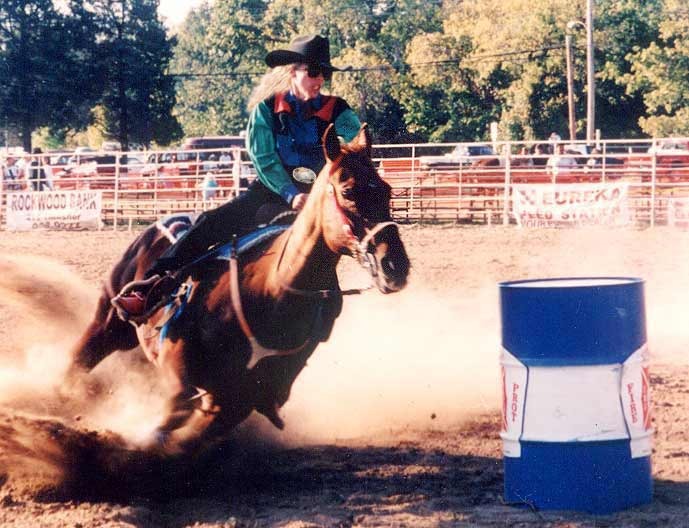 The Sefton Barrel Racing Facility is located outside Tulsa, Oklahoma. The facility is owned by husband and wife team Gary and Deb Sefton and is located on 30 beautiful acres. Amenities include 3 ponds and crossfencing into 4 pastures with pole barns and a main barn with foaling stalls and paddock, a wash rack and tack room. Feel free to tour! Don't forget to stop by our garden page, we have some shots of our flowers you are sure to enjoy! 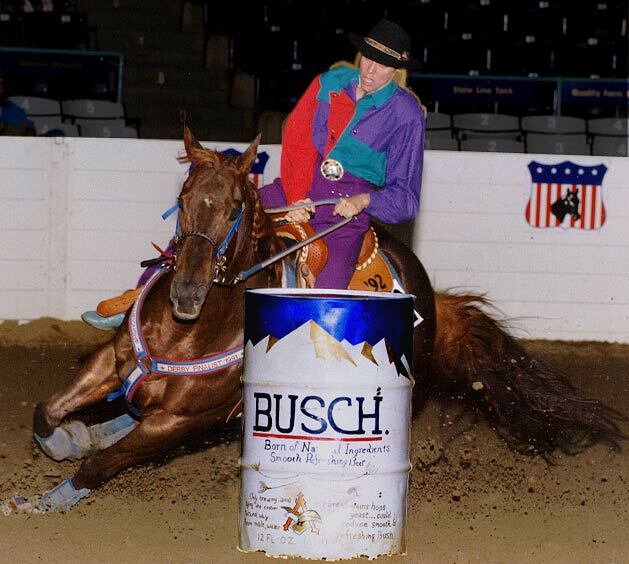 Deb was nationally ranked eleventh of the top 25 Sweepstakes Riders in 1994 with limited hauling (published in the February, 1995 Quarter Horse News). Deb and May winning the first go of the 1994 Congress Budweiser Sweepstakes, Columbus, Ohio. Click to see great action pic's! All our prospects are sold at this time. 'Turnin Powerhouse' or 'Mini Me' is a one of only two babies out of May. She is by Bully Bullion (SI 104) and out of Superior barrel mare May Easy Jet (SI 84). Sold! 'Levi' is a SI 91 son of Some Dasher (SI 111) and out of an ROM daughter of Easy Jet (SI 100). He is currently broke with loads of potential. He is for sale at this time. Sold! 'Raisin' is a daughter of Bet The Cash (SI 102) and out of an ROM daughter of Raise The Gamble (SI 102). Sold! 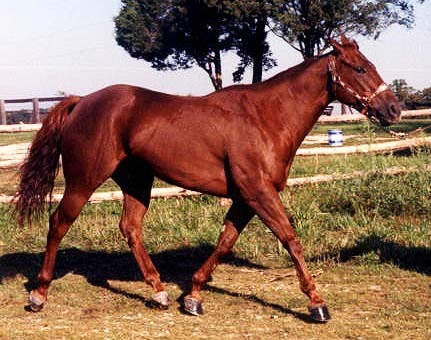 'Kitty' is a paternal granddaughter of Rare Jet (SI 109) and out of an AQHA Barrel ROM and World Show qualifying daughter of Five to Six (SI 95). This mare is for sale. Sold! 'Runner Bar', our youngest prospect, is a gelding by Runnerelse, out of a daughter of Sucha Oh (SI 107 and track record setter at 220 yds) and a (SI 89) granddaughter of Jet Deck. 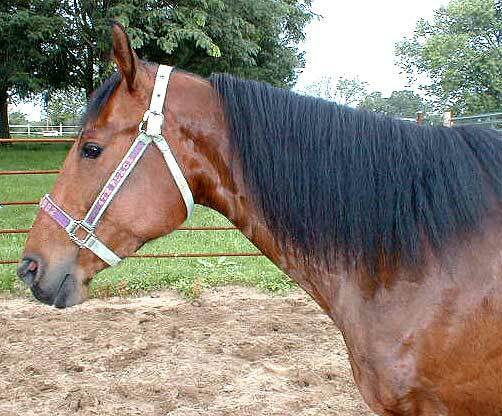 Runnerelse is an own son of Magnolia Bar who won over $50K in barrel racing out of a dam who won over $40K in barrels. This colt is a full brother to two Fort Smith futurity placers. This gelding is for sale. Sold! 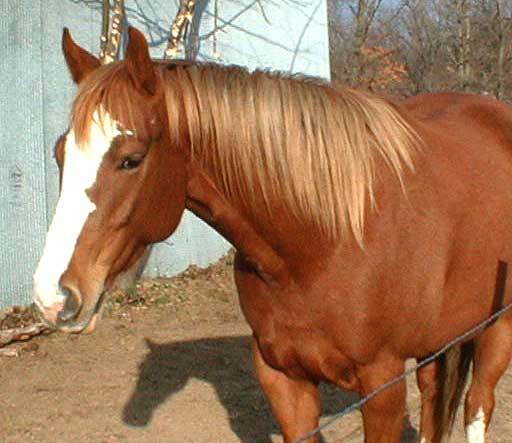 'Dakota' is a daughter of the great barrel sire Frenchmans Guy and out of a AAA AQHA mare with AAA parents. This mare is for sale. Sold! Our past breeding program is best presented in chart form below. Click on either the stallion name or the word 'baby' under it to see the stallion or baby from that cross. Click on the mare's name or picture to see her. May is a daughter of Easy Max (SI 96) out of an ROM race daughter of A Sharp Leo. 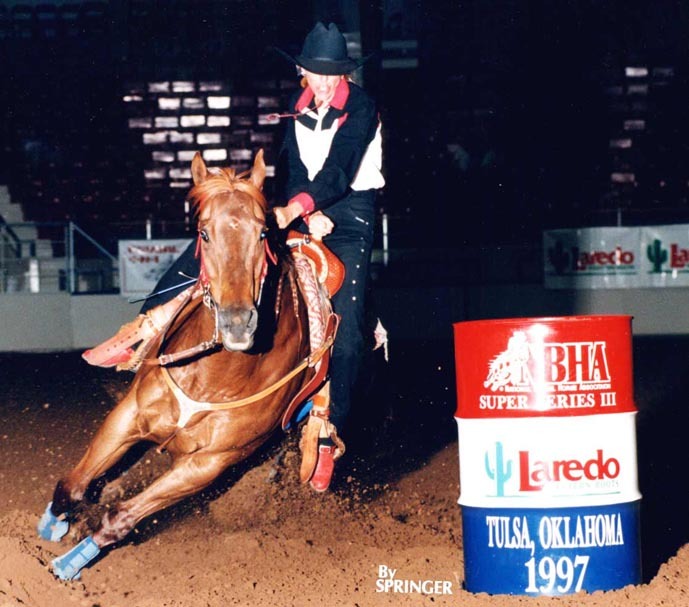 May has ROM's in both Race and Performance, an AQHA Superior and Top Ten in barrels; she's a Derby and Sweepstakes winner and has won multiple saddles & buckles. May won a great deal of money and broke several arena records during her career. She was retired at 14, 100% sound. 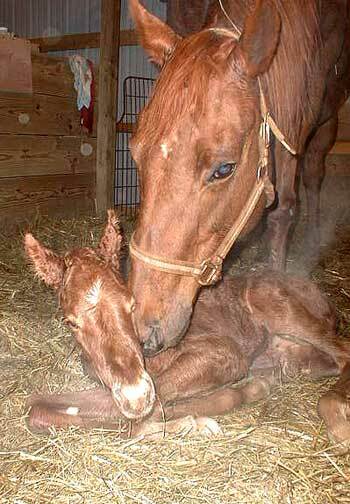 Tragically, we lost May in 2003 from complications days after foaling. May only had two babies. We miss her greatly; she will always be in our hearts as she was a gift from God. Abby is a daughter of Packin Sixes (SI 99) out of a SI 87 Easy Jet mare. Abby has an ROM in race. This mare is for sale bred to Firem Jet. Sold! Also on her papers: Streakin Six, Easy Jet, Three Oh's and Easy Six. Dee is a daughter of On The Money Red and out of a mare who is the only full sibling to leading Equi-Stat barrel sire Assured Pleasure (SI 97), sire of Janet Stover's Gotewin Bo, Janae Ward's Cole And Cole, Assured Profit - winner of over $93K in barrels, etc. This mare is for sale. One of a kind, no others bred like her. Sold! 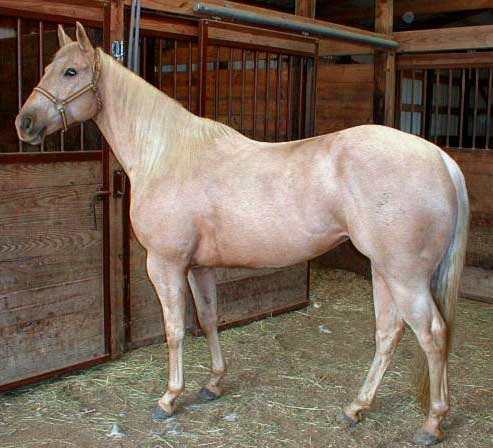 Maggie is a palomino daughter of Five To Six (SI 95) and out of a daughter of Magnolia Bar, SI 100, AQHA Champion. This mare is for sale bred to Jet's Pay Day. Sold! Also on her papers: Easy Jet, Lady Bug's Moon, Three Bars and Easy Six. Deb worked for over a decade as a Molecular Biologist for a large biotech corporation. She has a Bachelor's degree in Animal Science, is a Veterinary Technician who managed two animal hospitals, is a Certified Groomer and has enjoyed volunteering at Wildlife Rescue organizations. In addition, Gary and Deb have owned, bred, shown, packed and participated in parades with several of their llamas. They have especially enjoyed taking their llamas to the Tulsa Senior Center annually. Llama's are allowed inside public buildings by the Health Department, so both seniors and handicapped individuals have enjoyed learning about and interacting with the llamas each year in the comfort of their recreation room. We have had the opportunity to meet many top sires on our barrel racing travels. Stop by below.